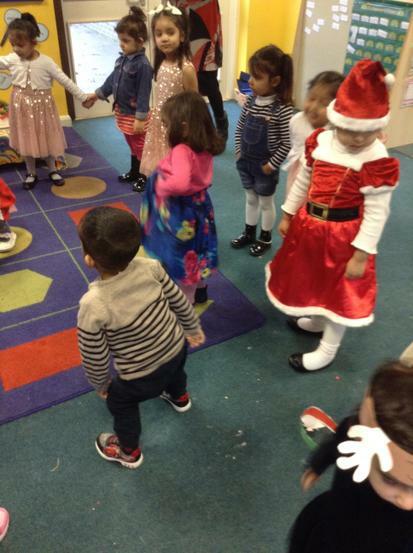 The children got to wear their favourite Christmas jumpers to school! 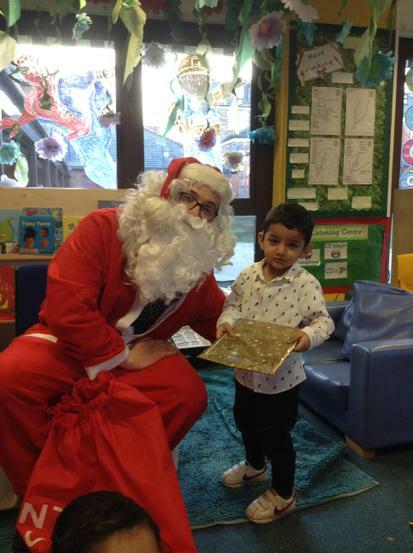 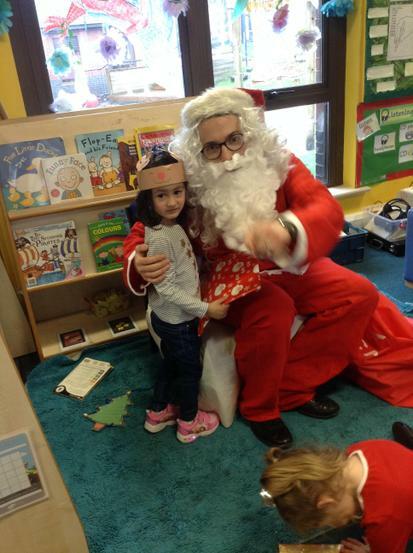 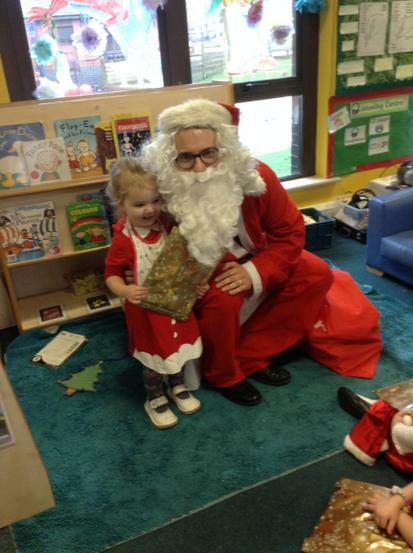 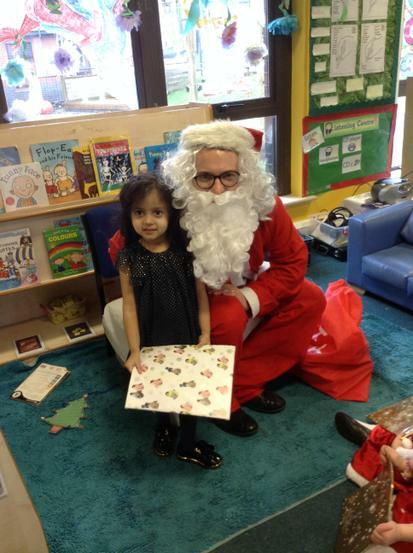 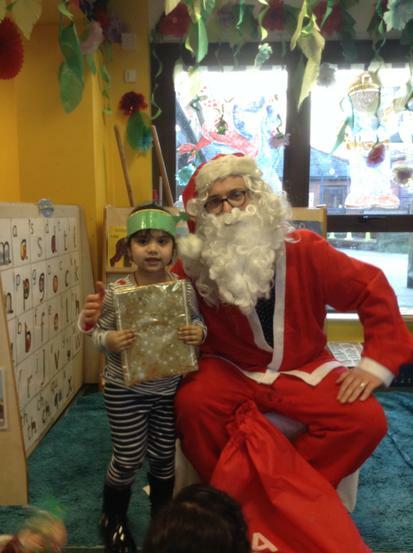 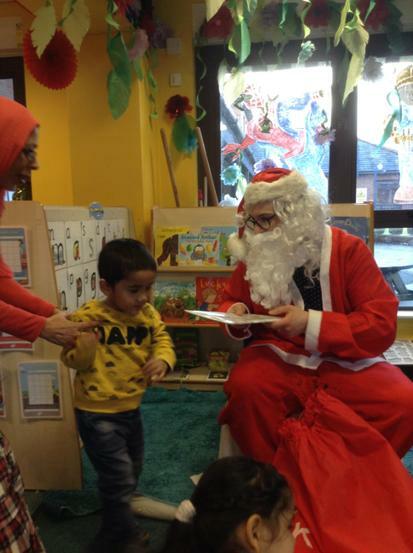 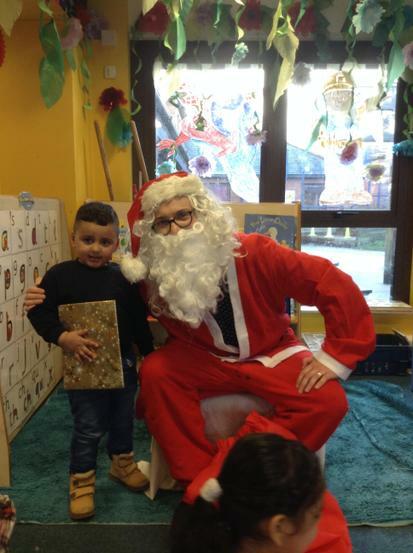 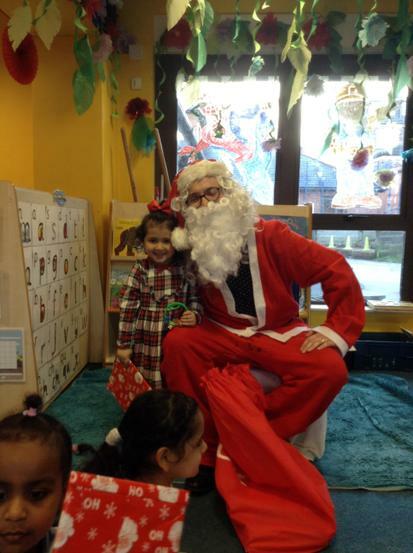 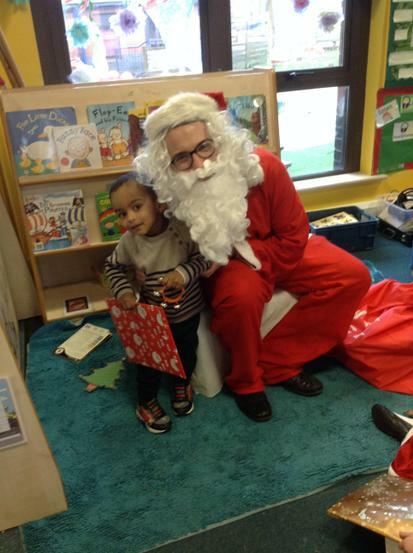 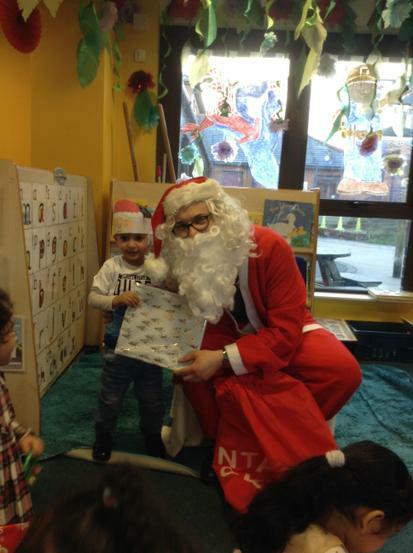 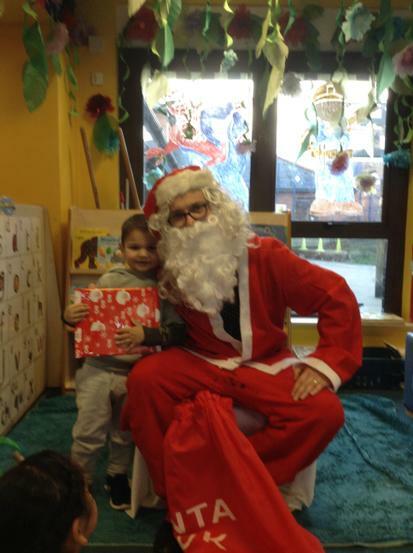 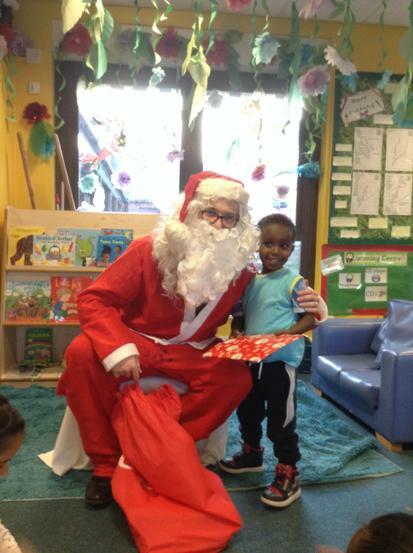 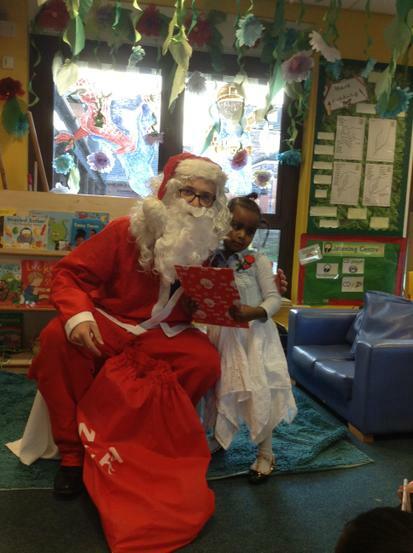 Santa came to visit the children at school and gave them all a present each! 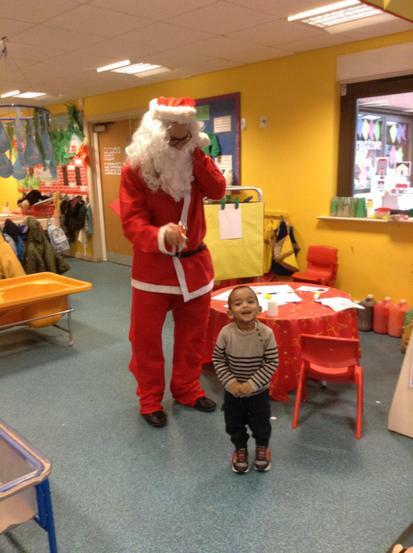 The children were very happy and excited to see Santa! 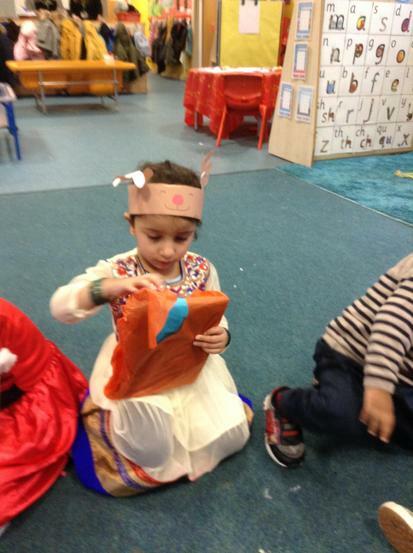 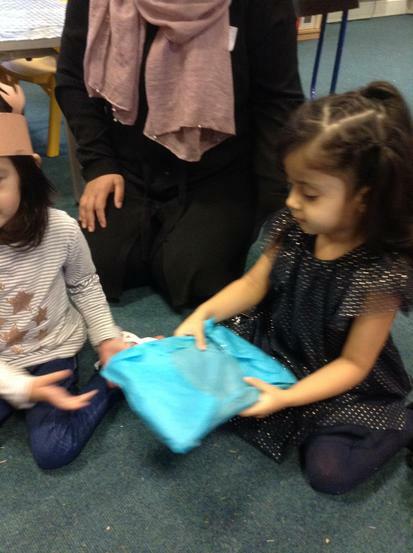 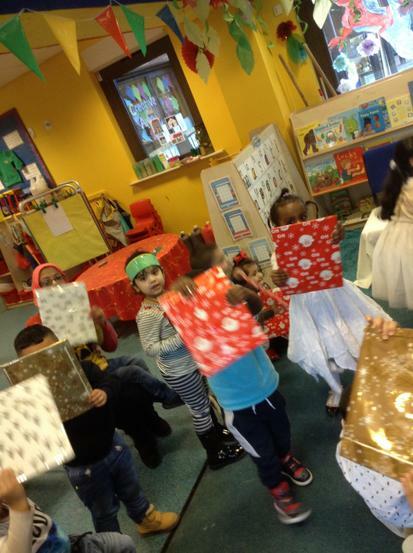 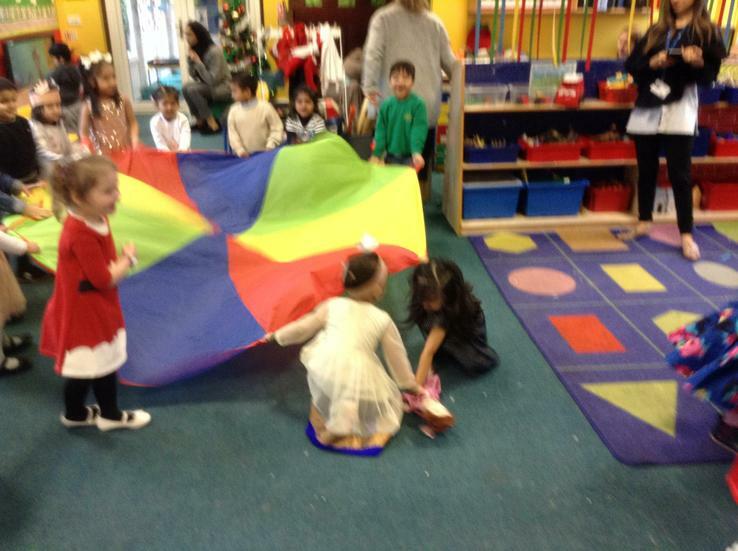 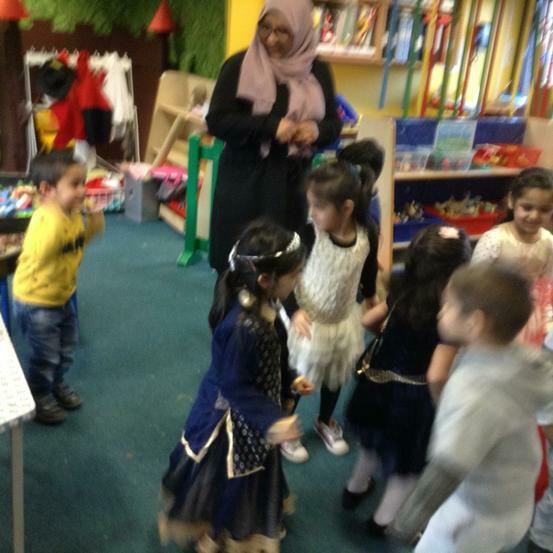 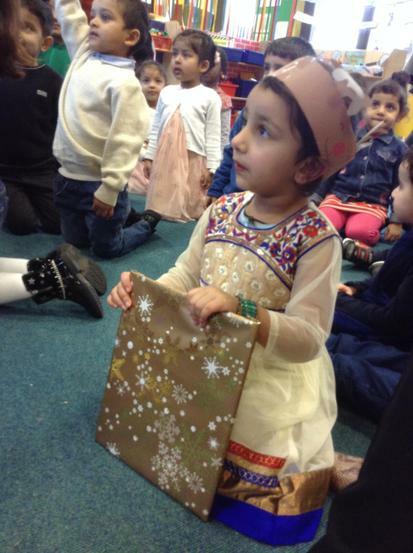 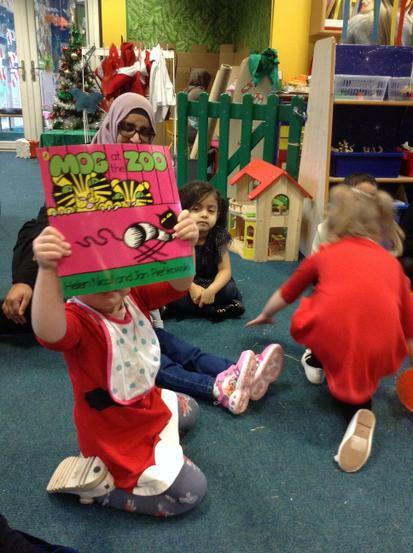 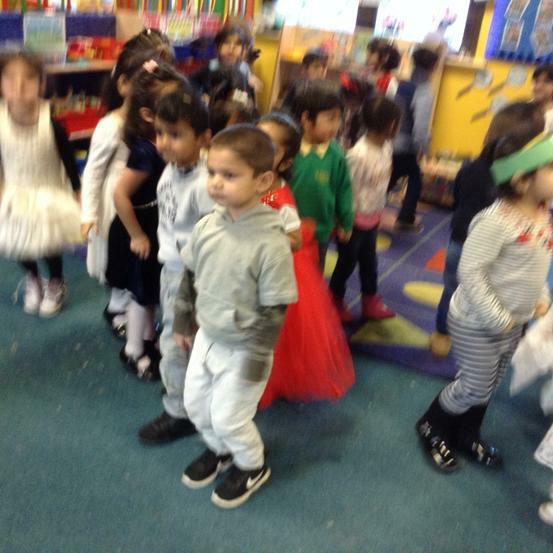 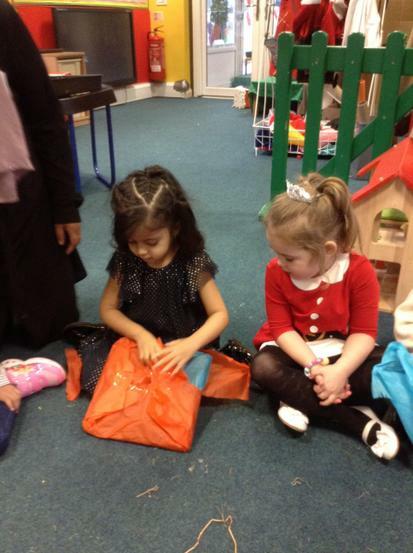 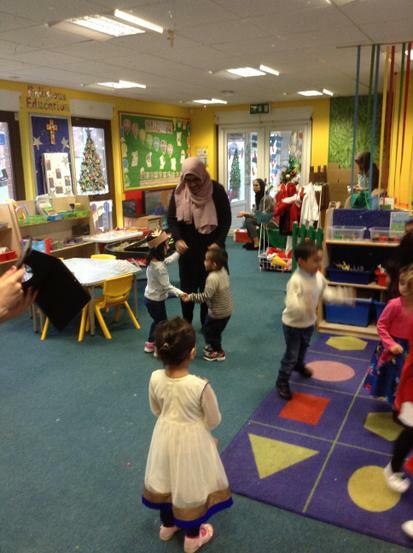 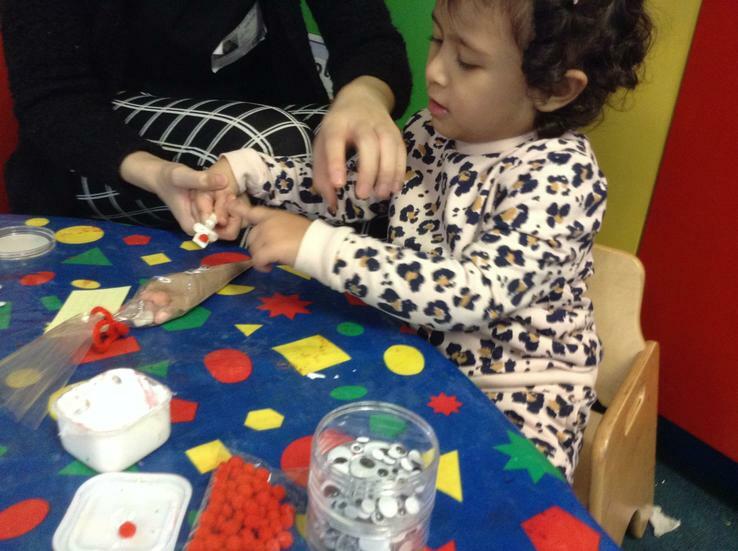 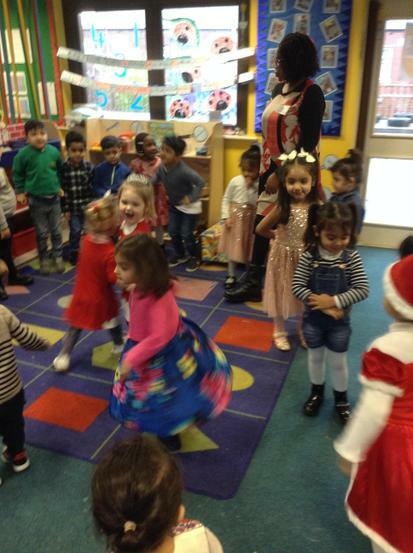 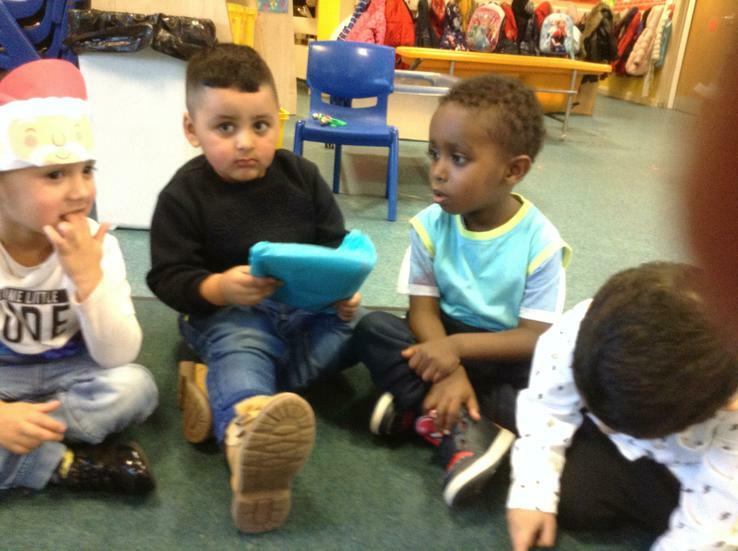 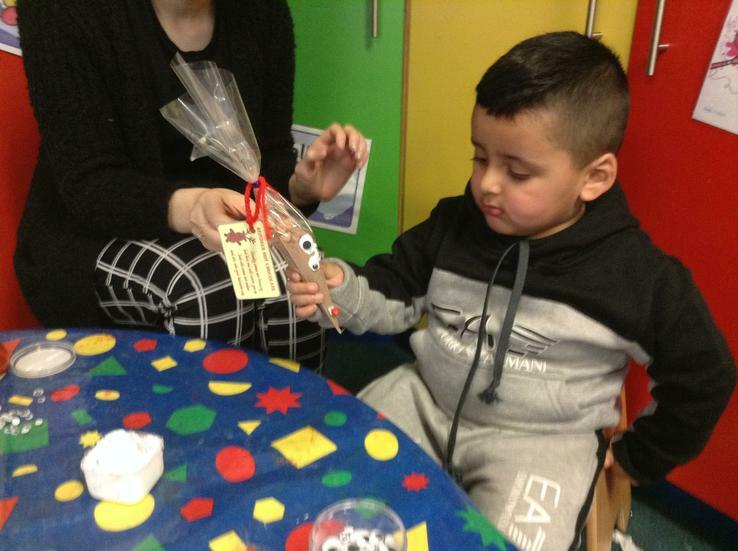 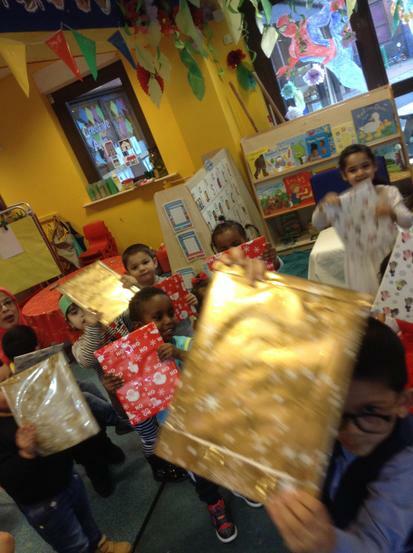 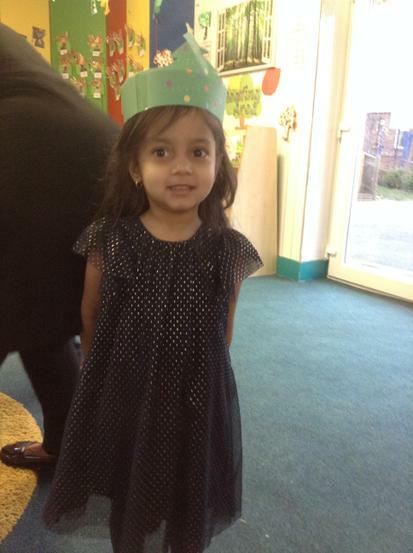 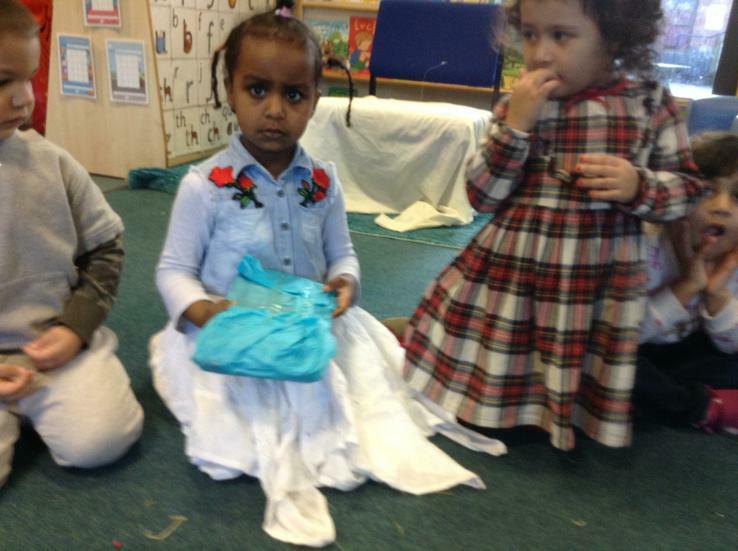 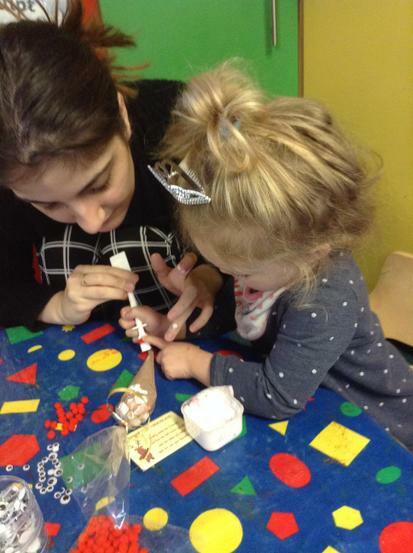 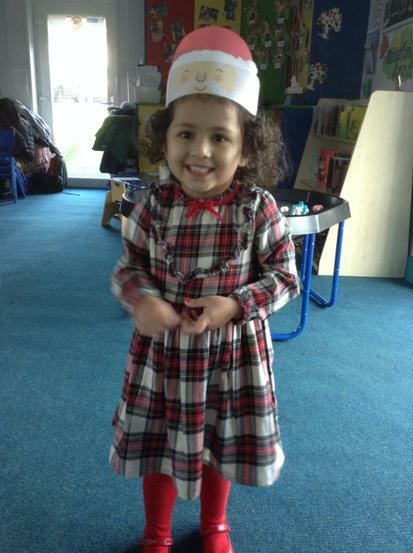 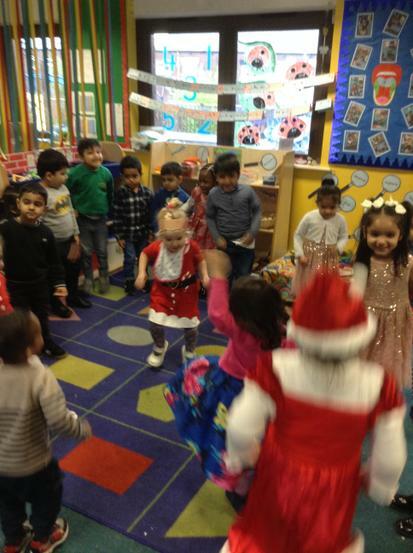 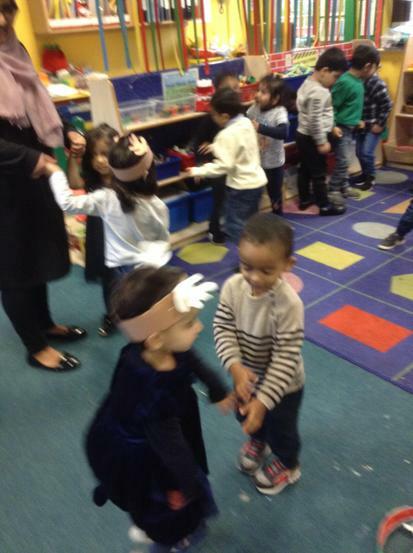 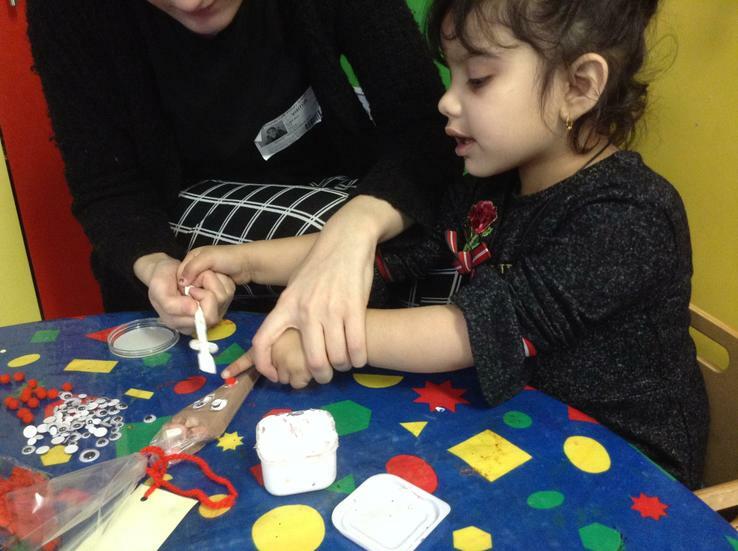 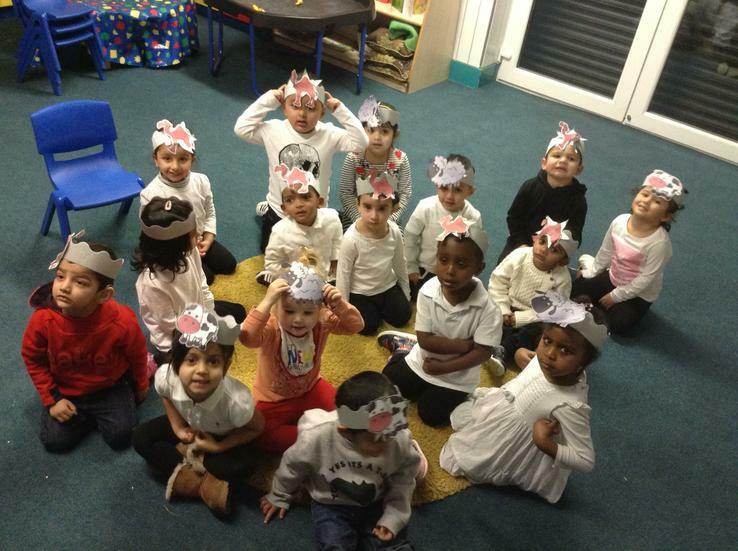 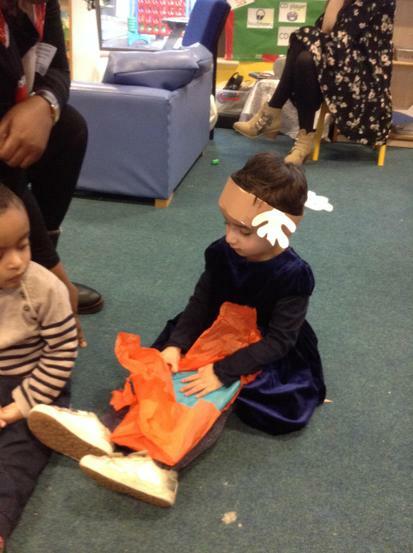 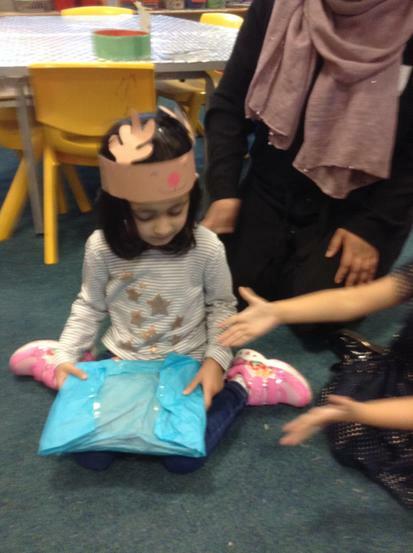 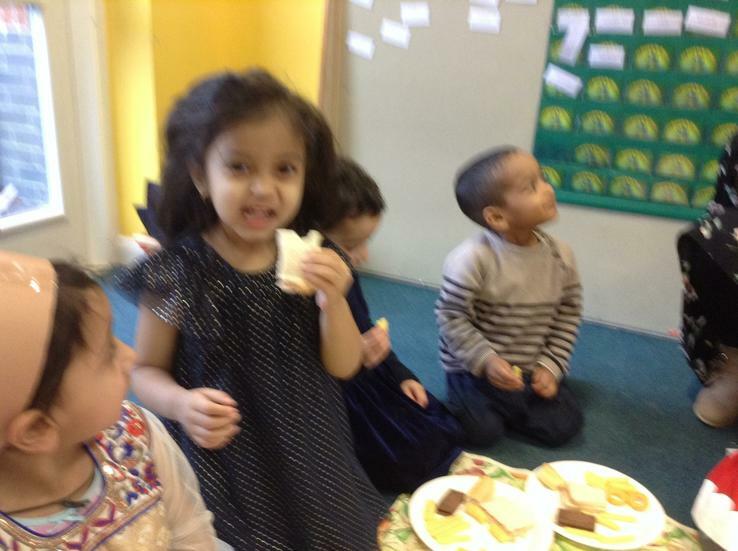 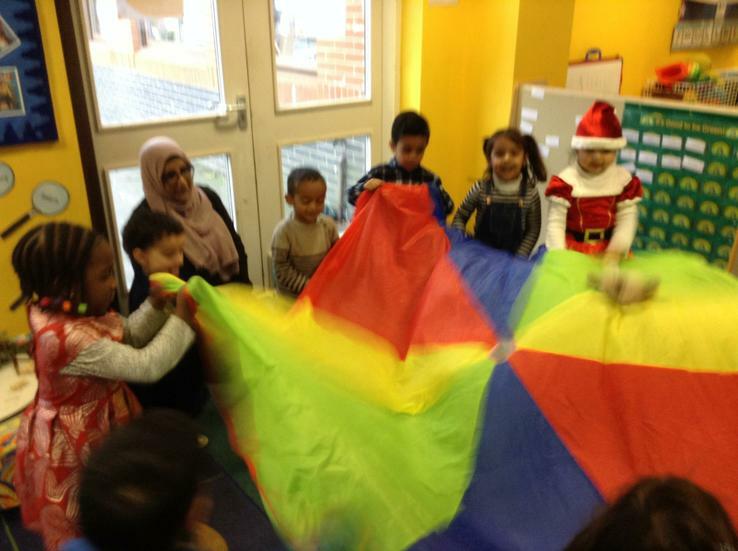 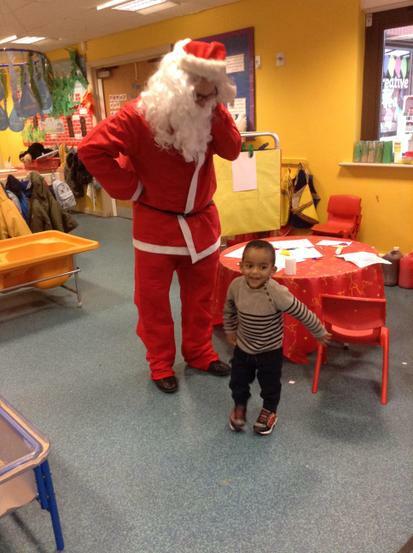 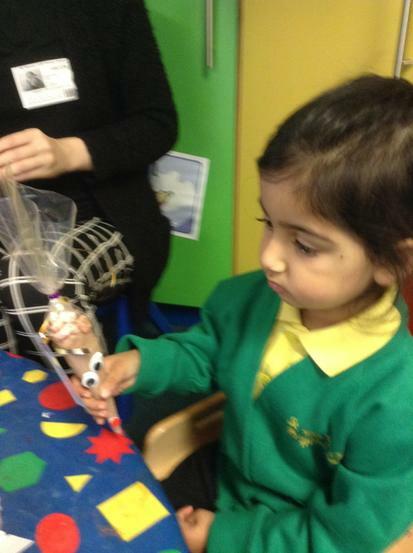 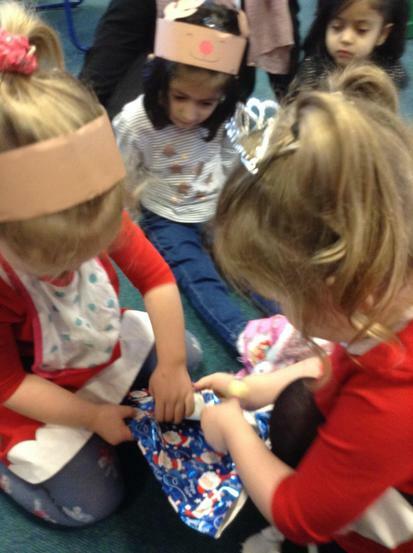 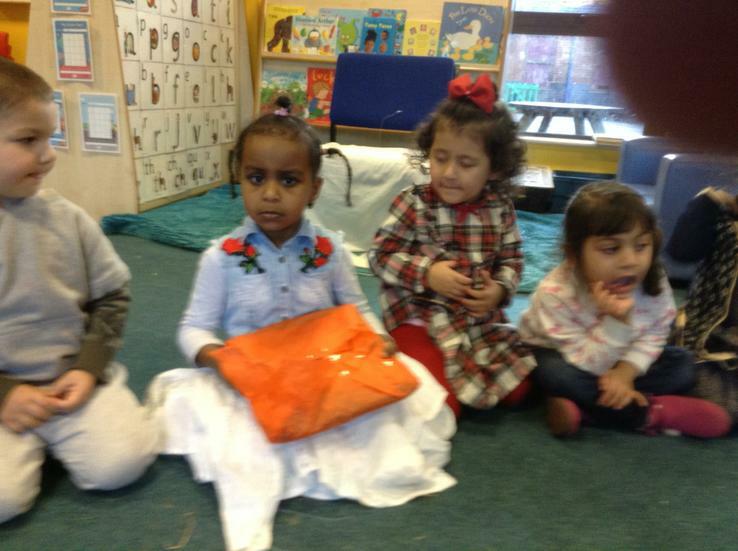 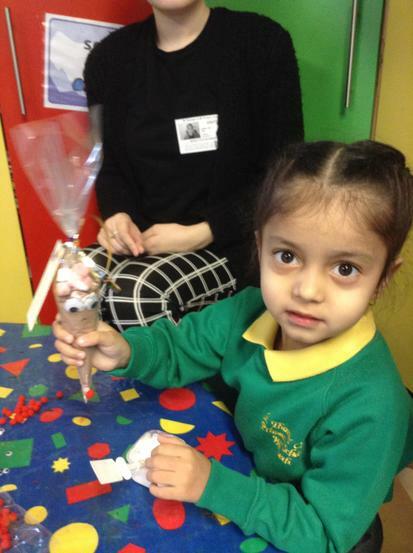 The children enjoyed their Christmas party. 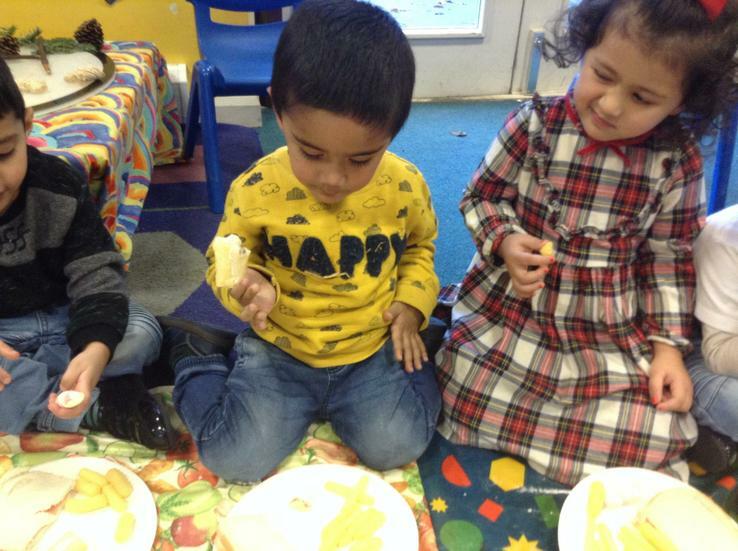 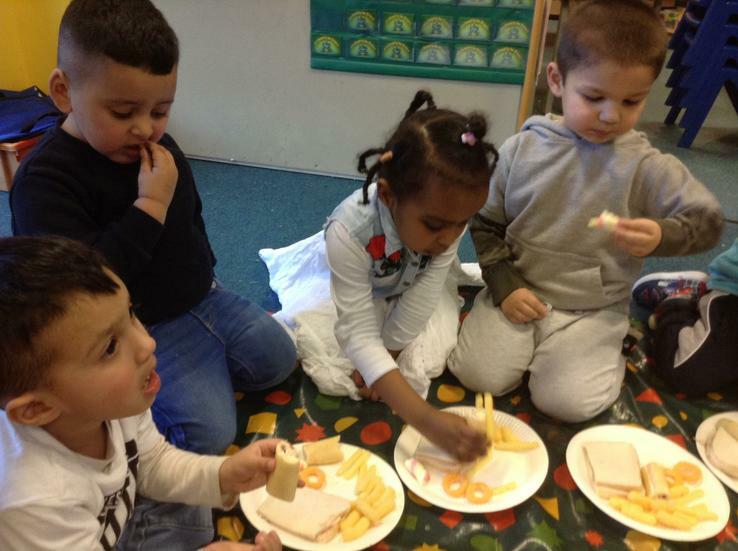 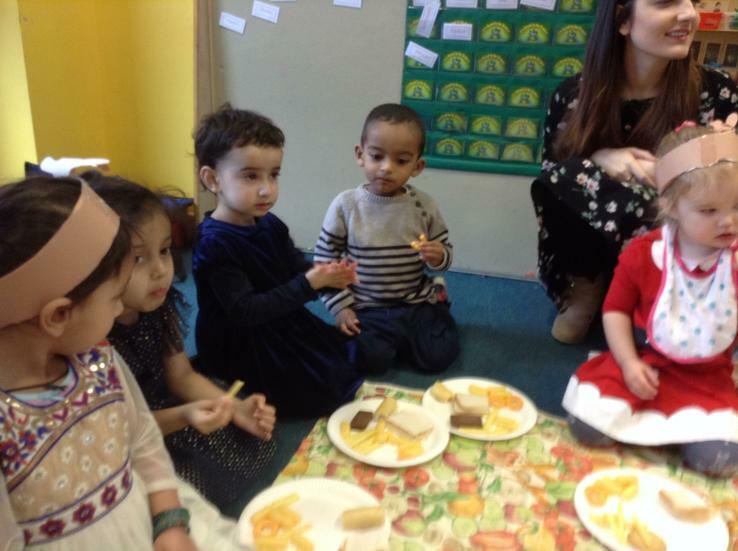 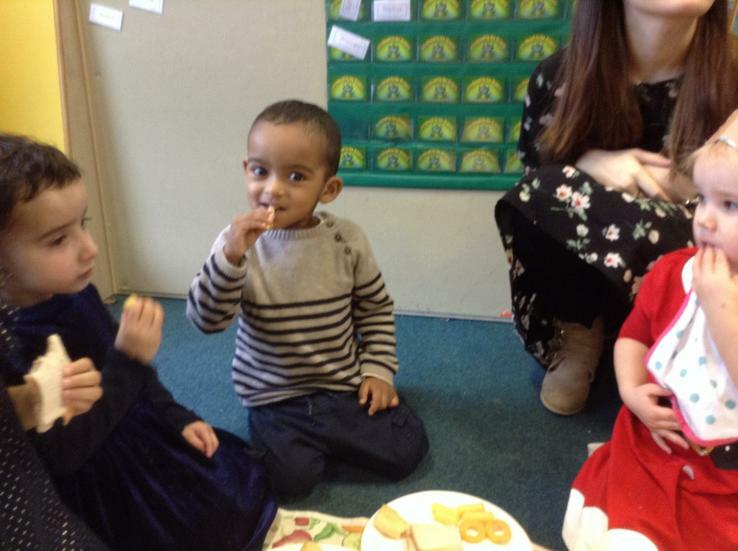 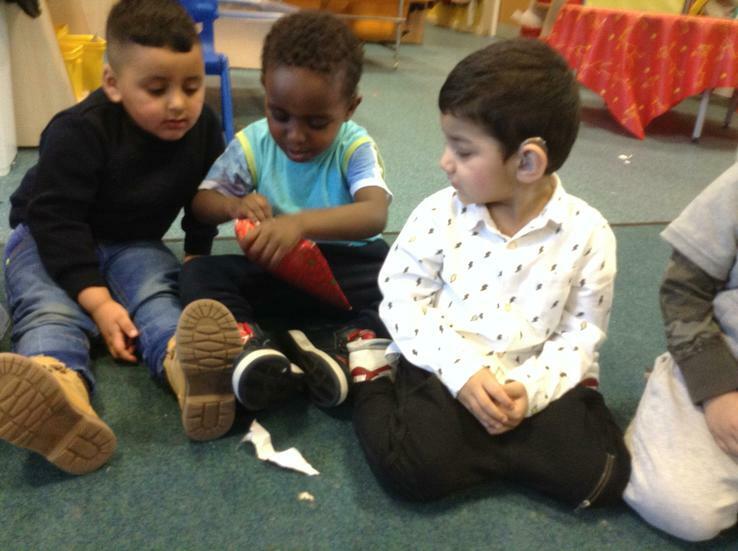 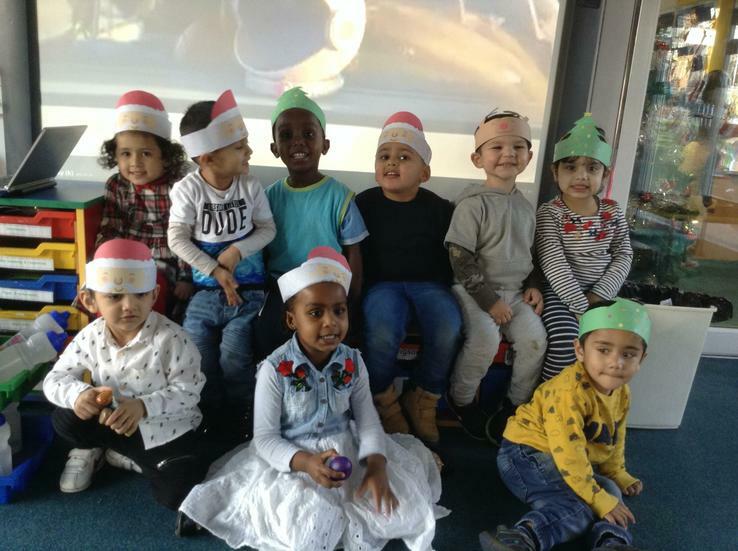 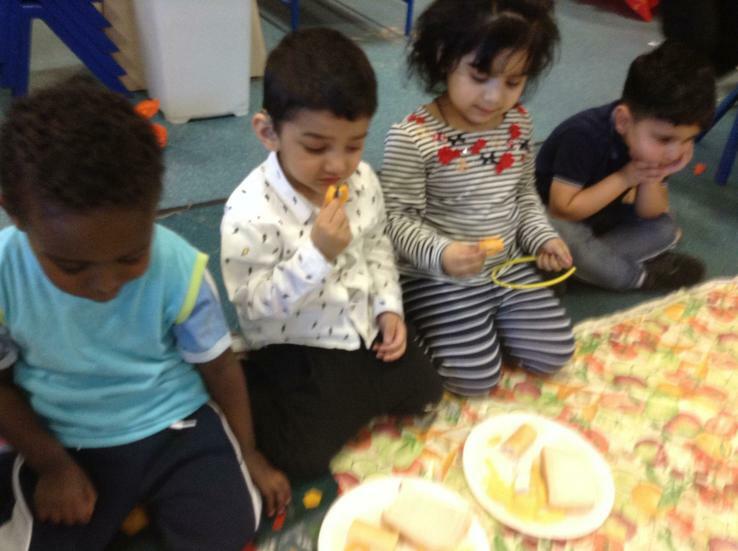 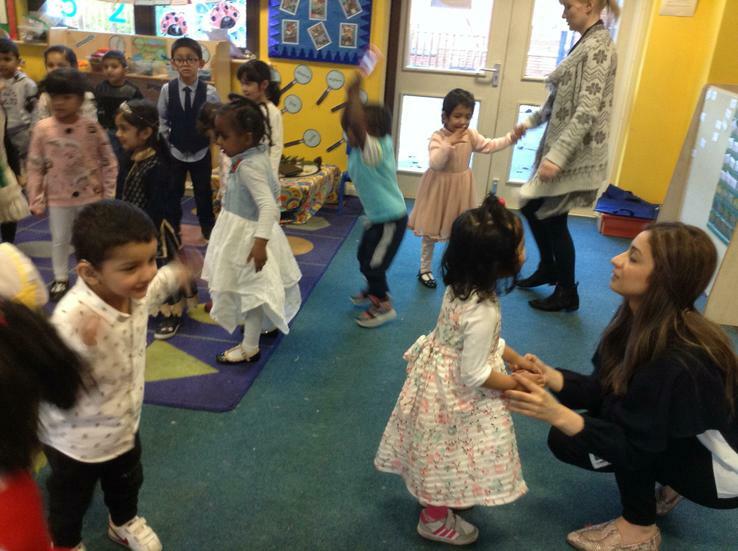 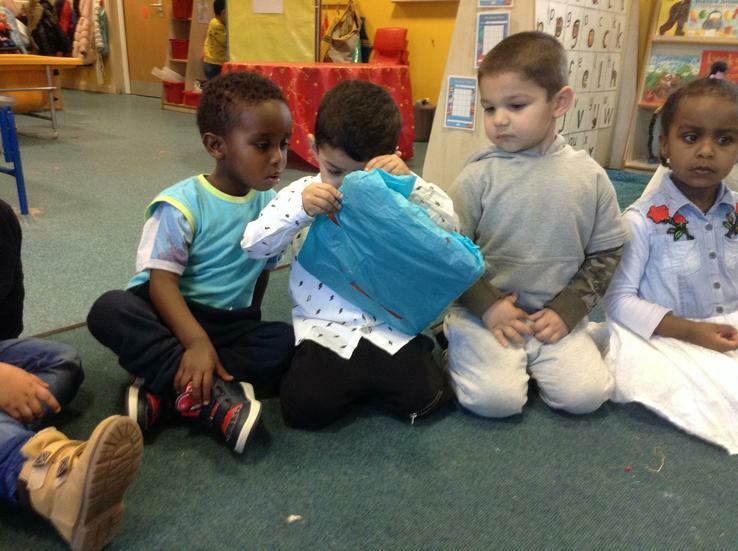 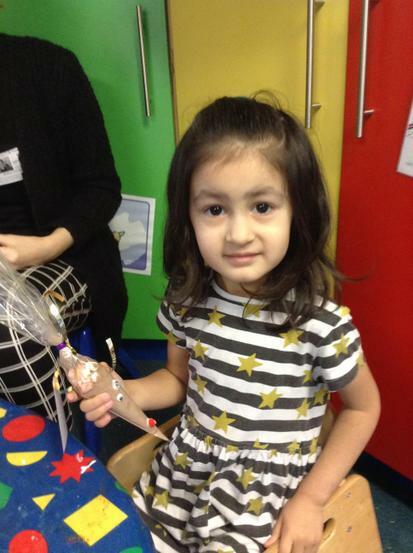 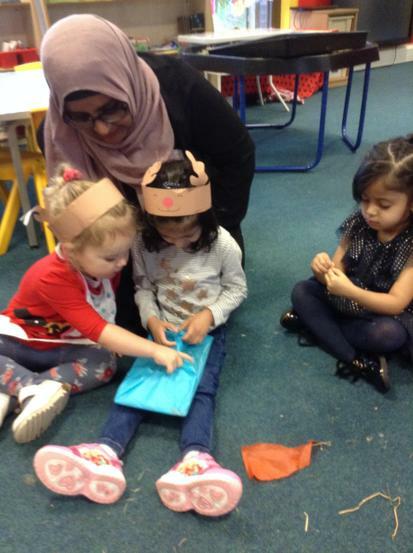 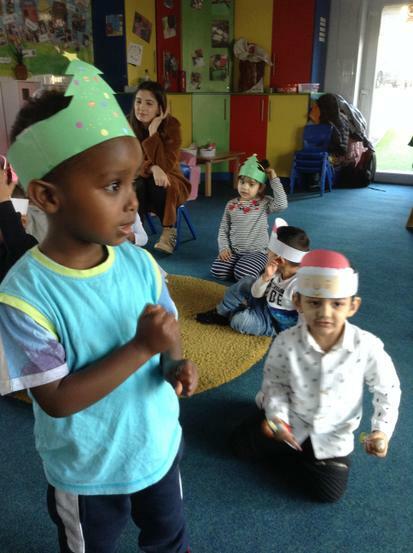 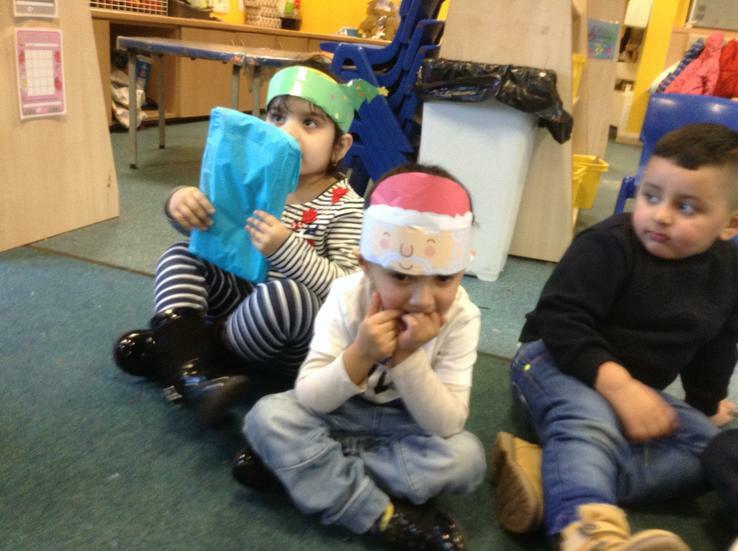 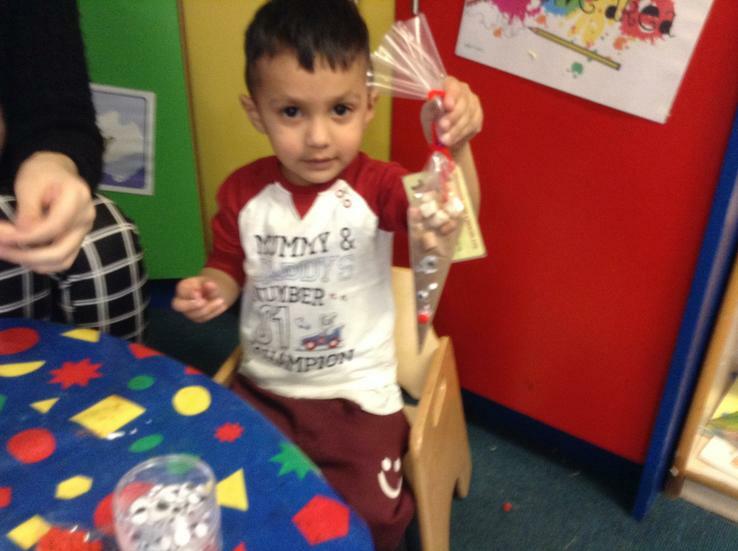 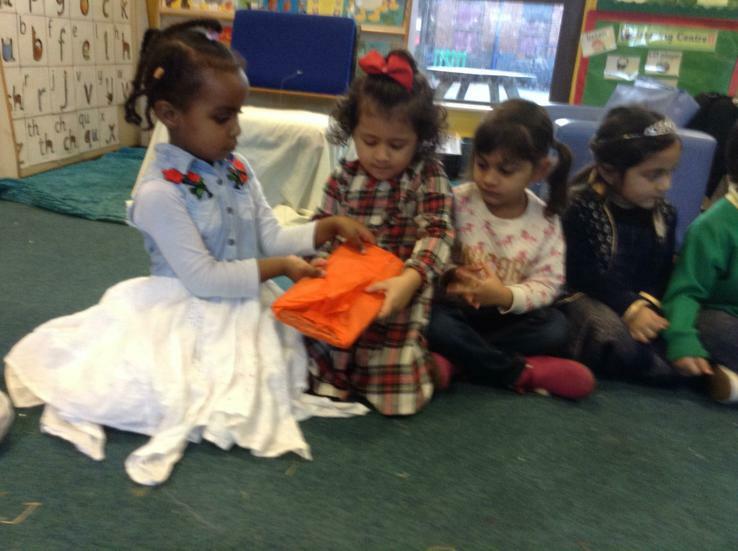 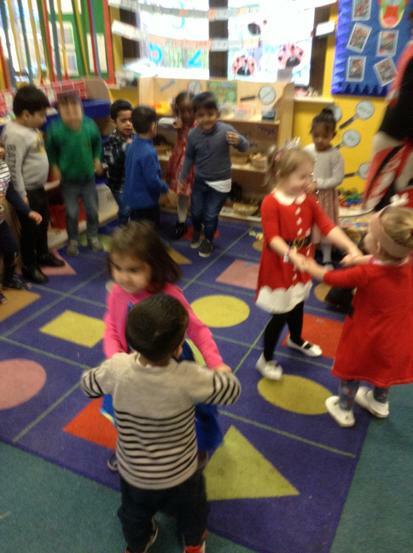 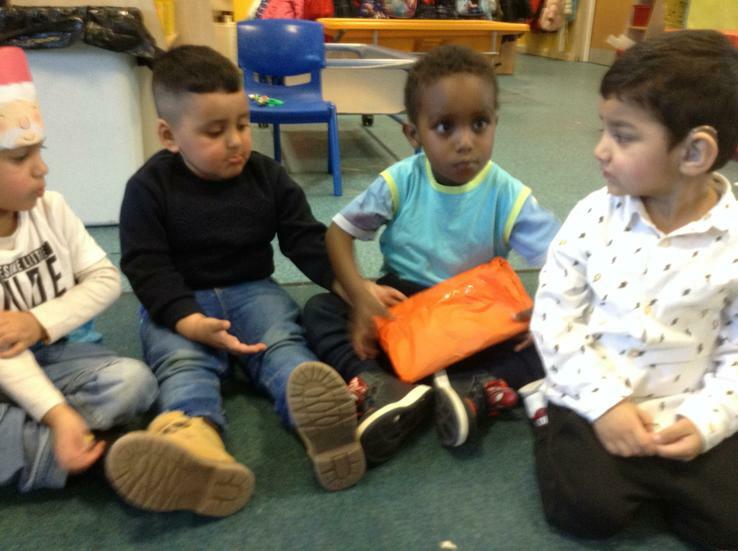 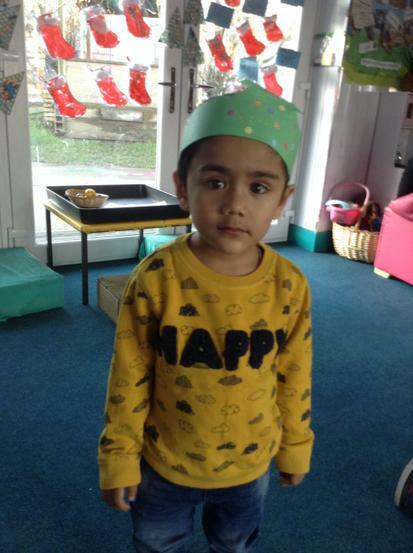 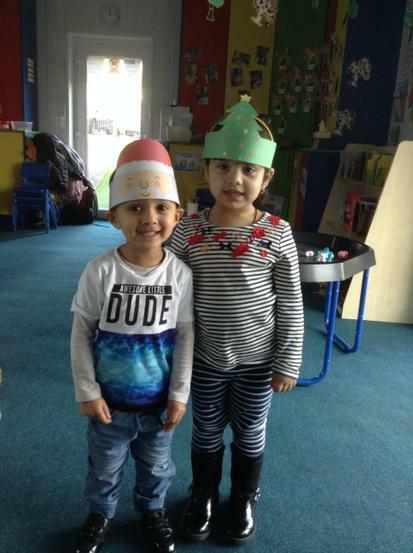 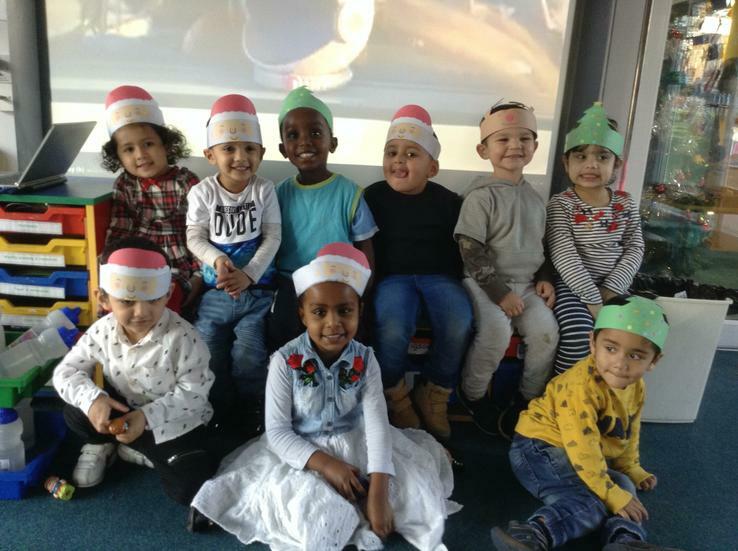 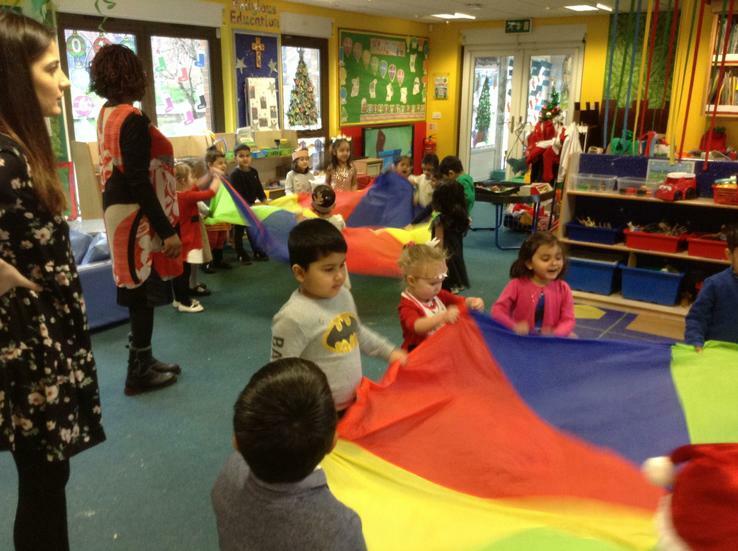 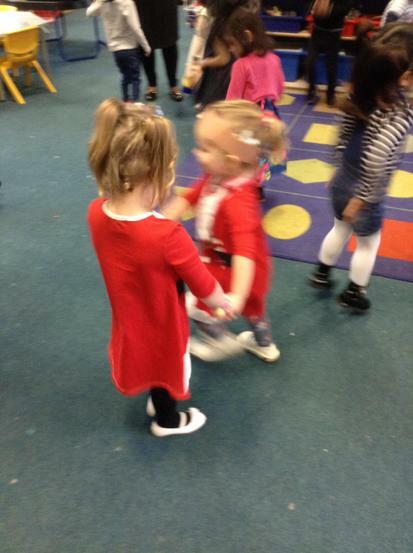 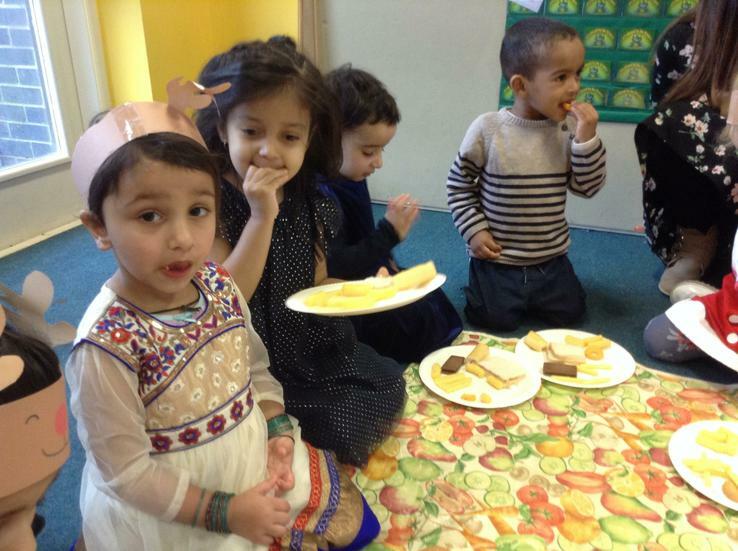 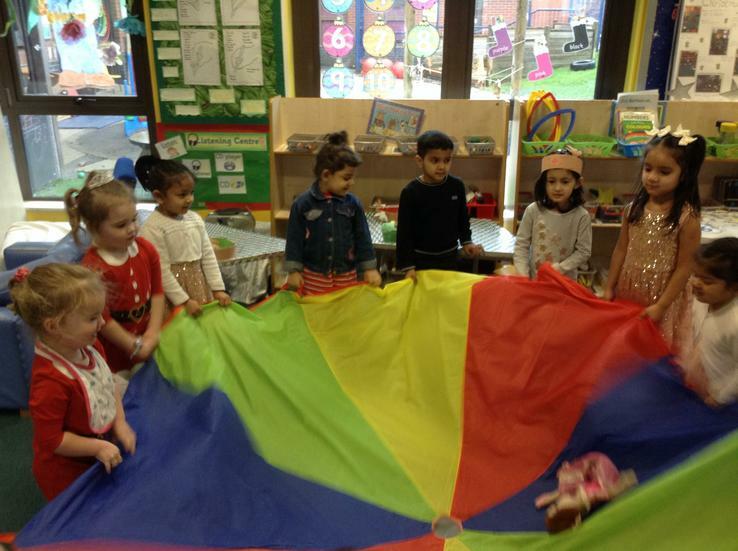 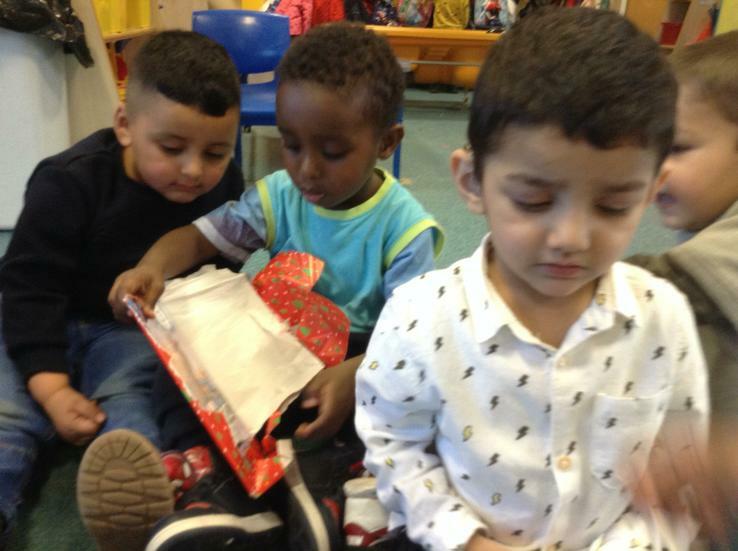 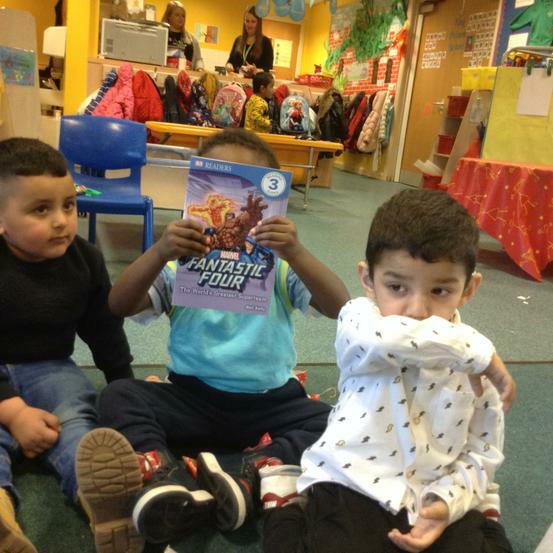 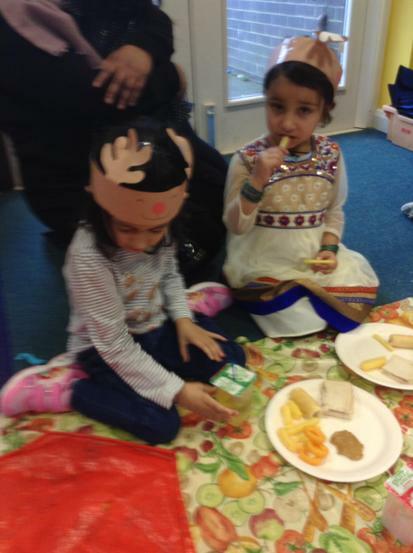 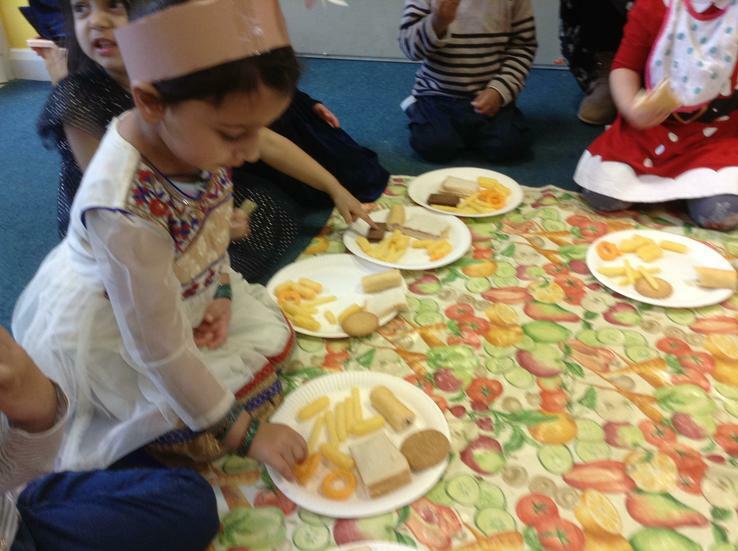 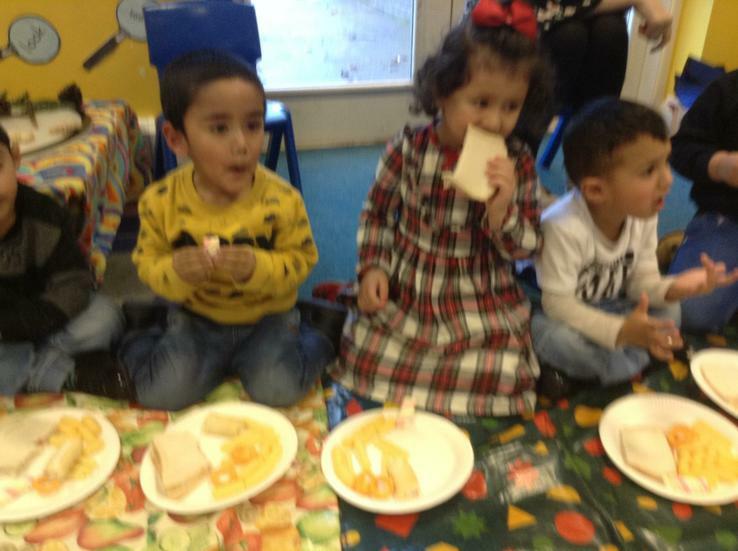 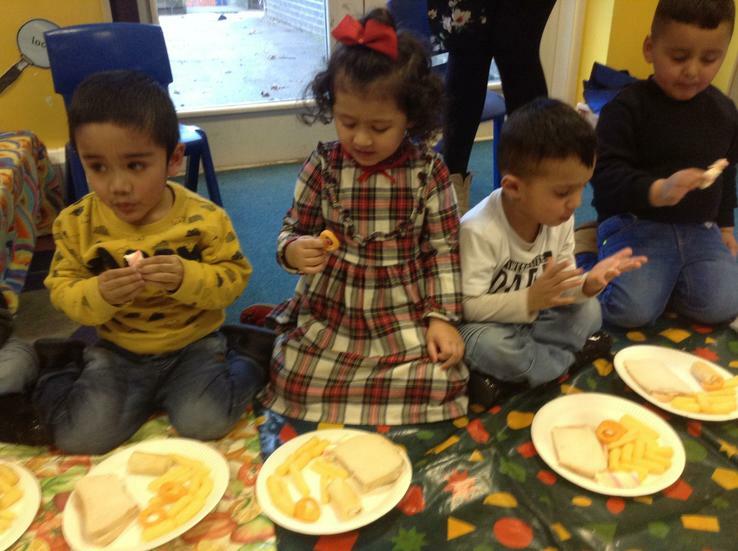 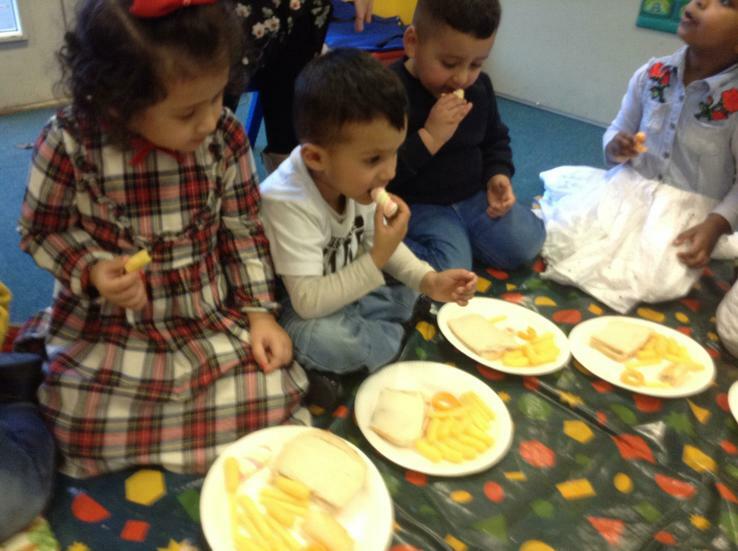 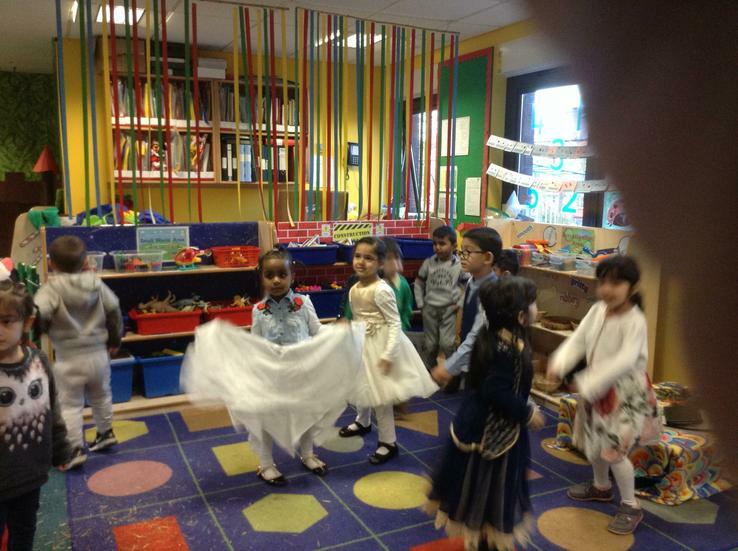 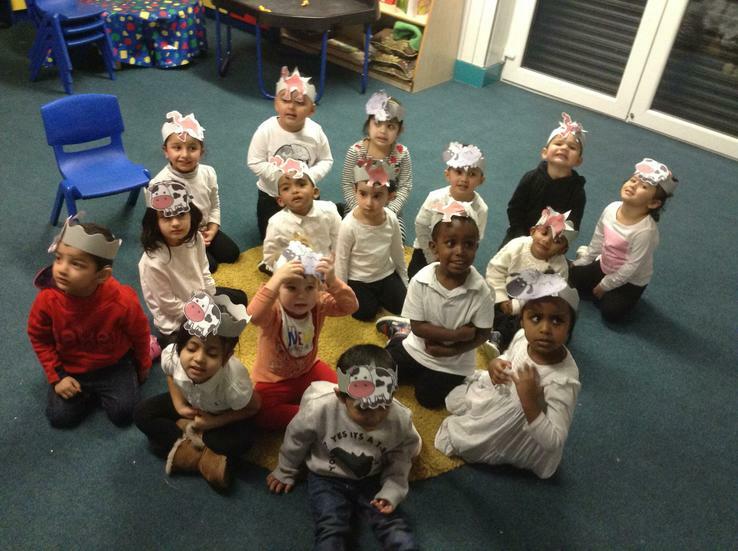 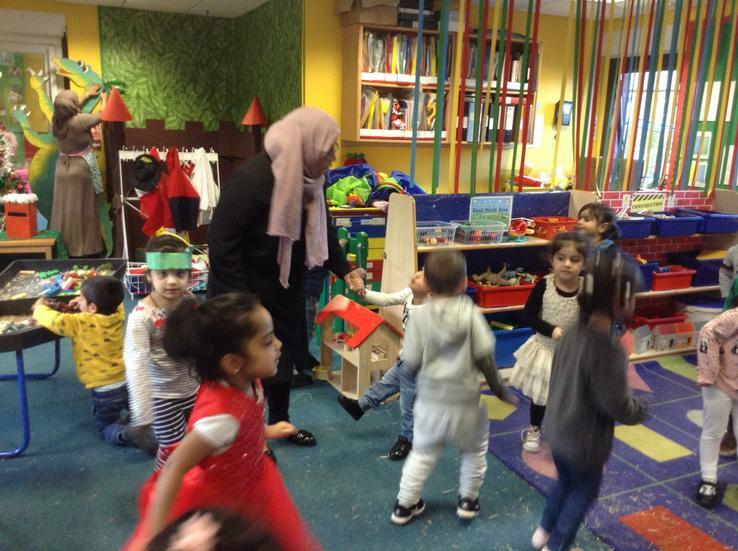 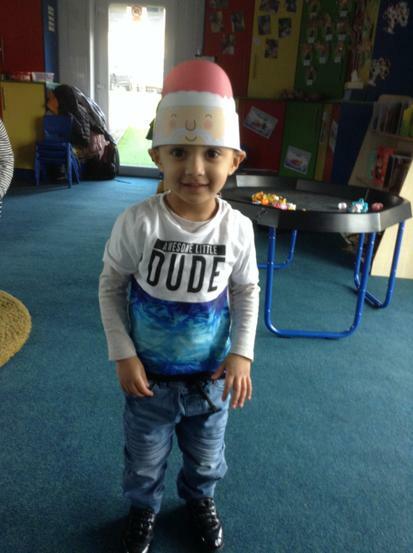 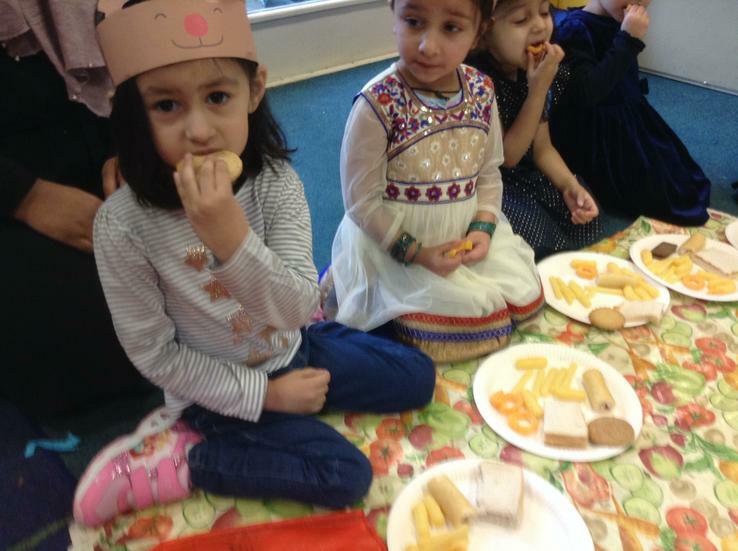 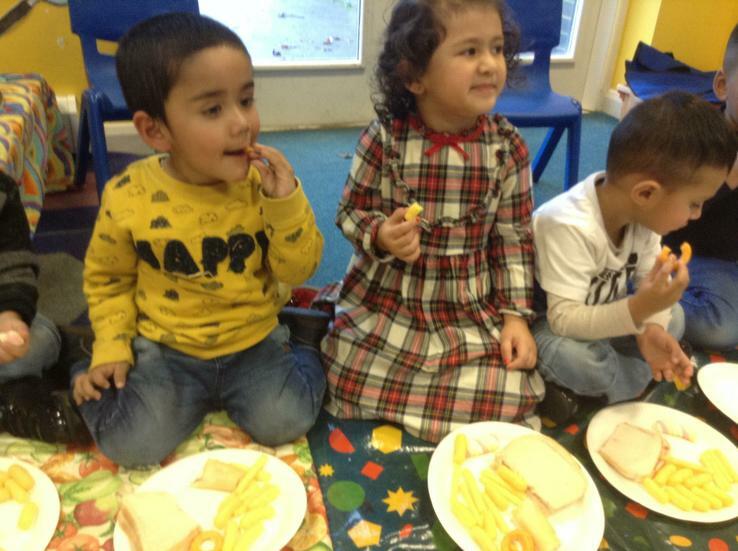 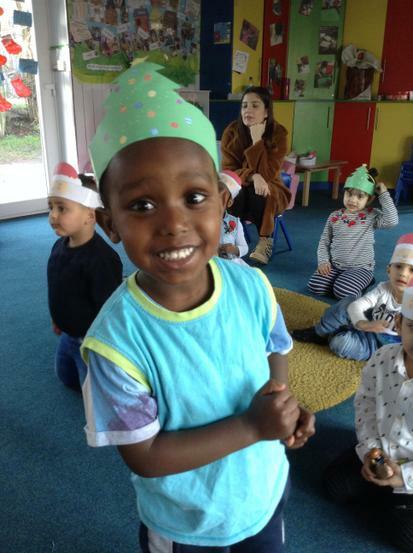 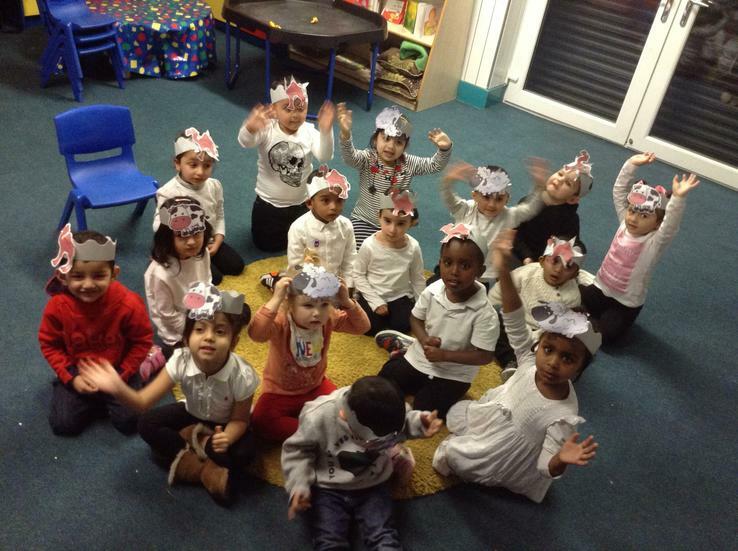 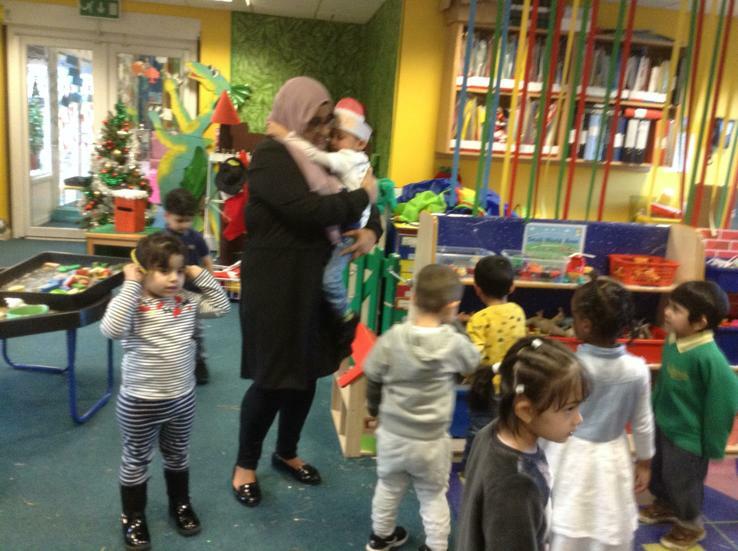 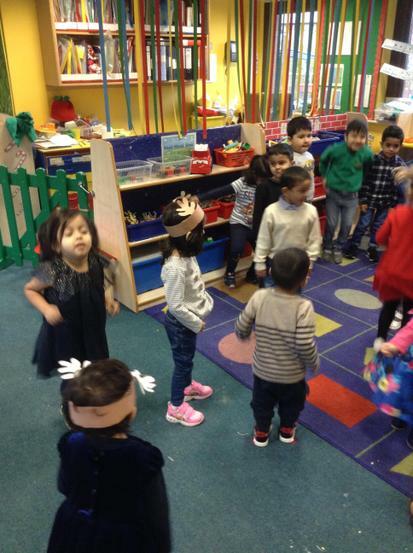 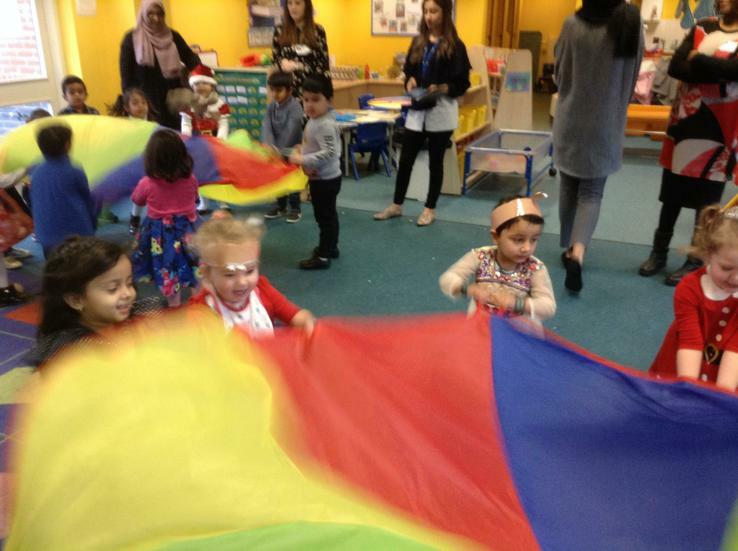 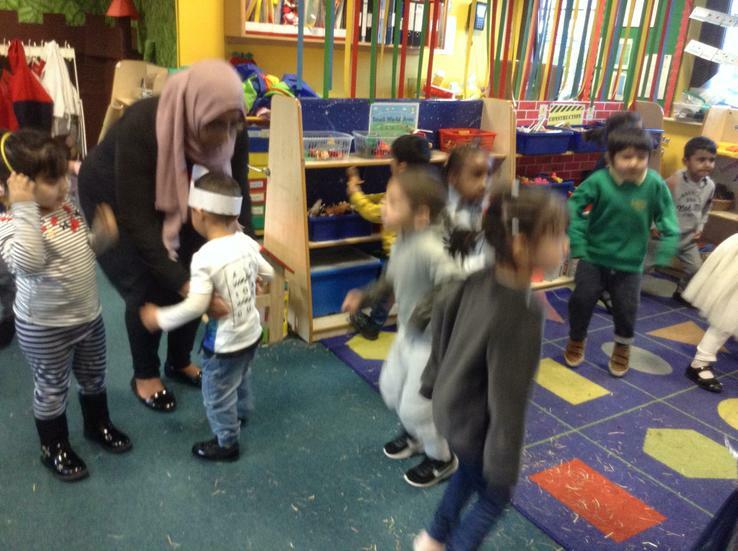 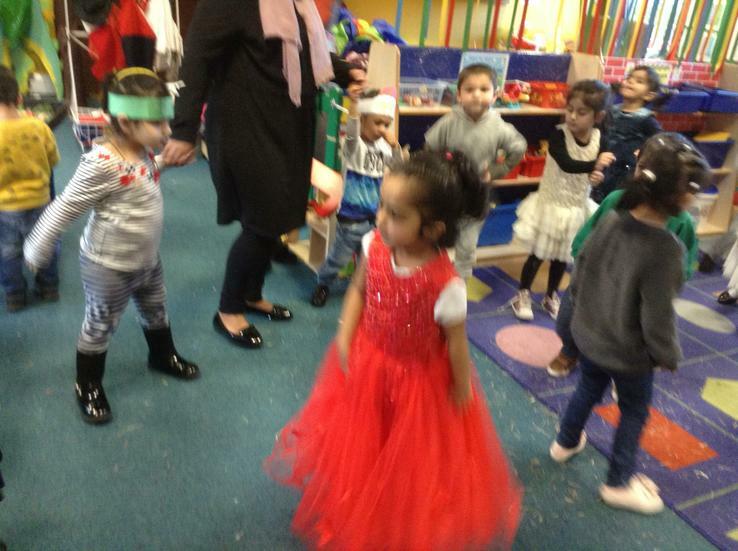 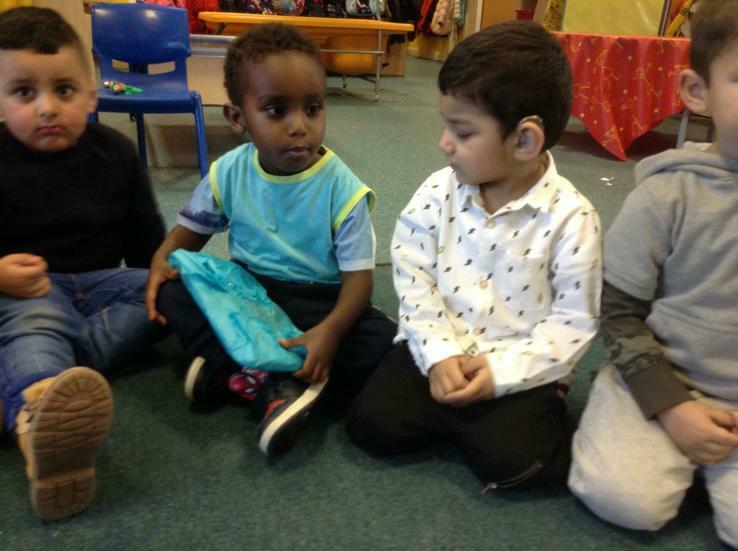 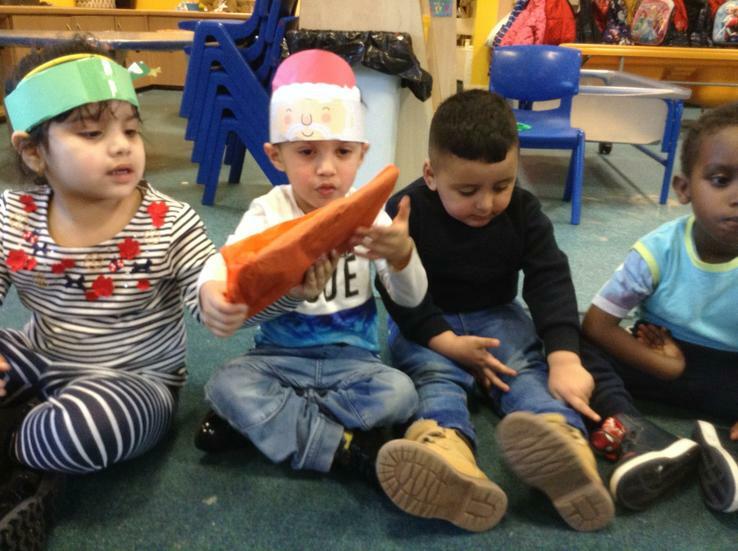 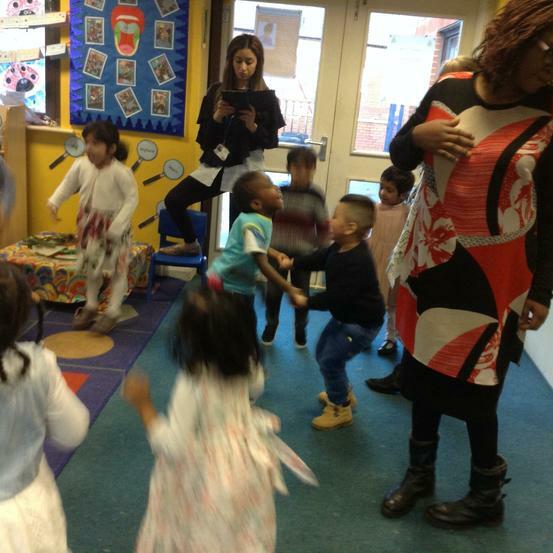 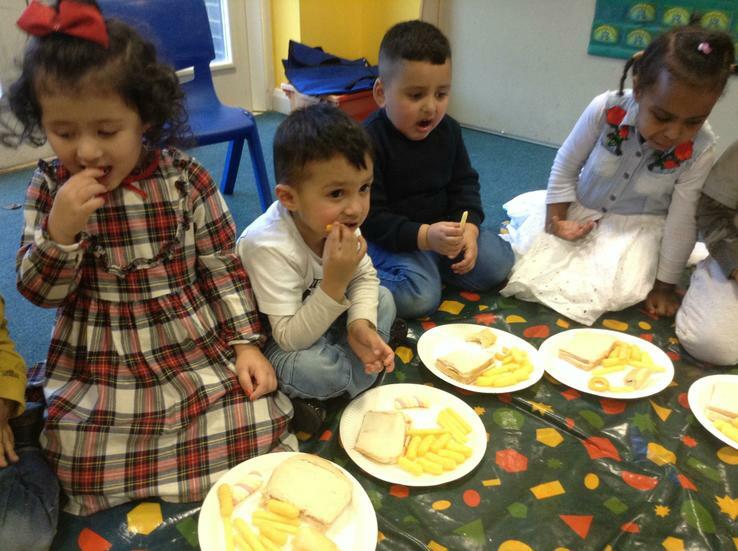 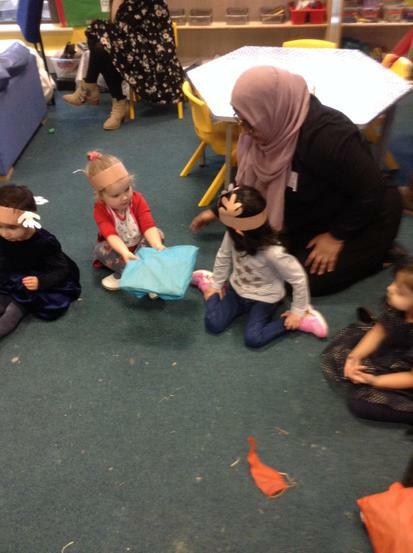 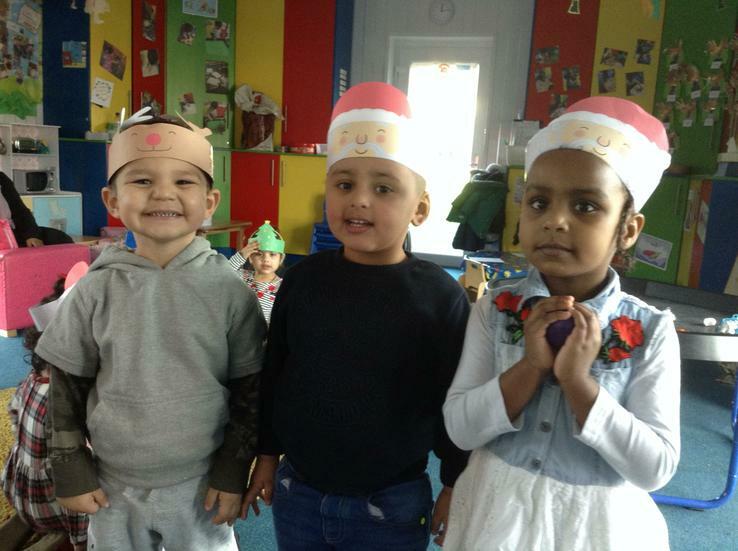 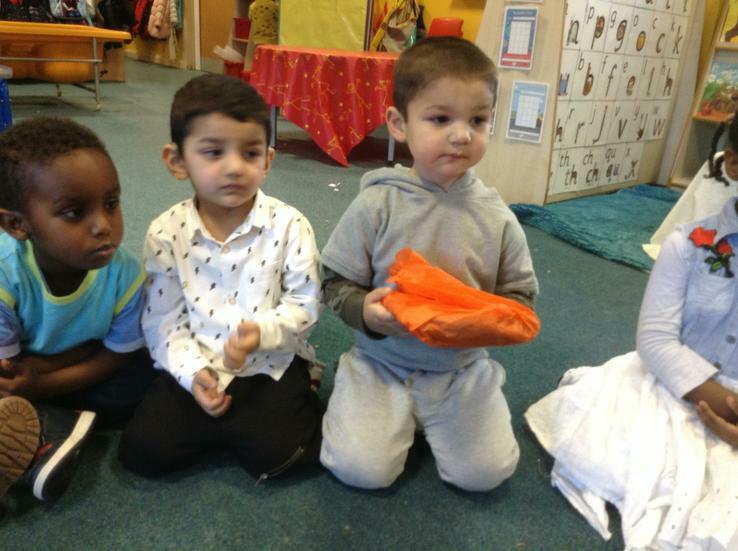 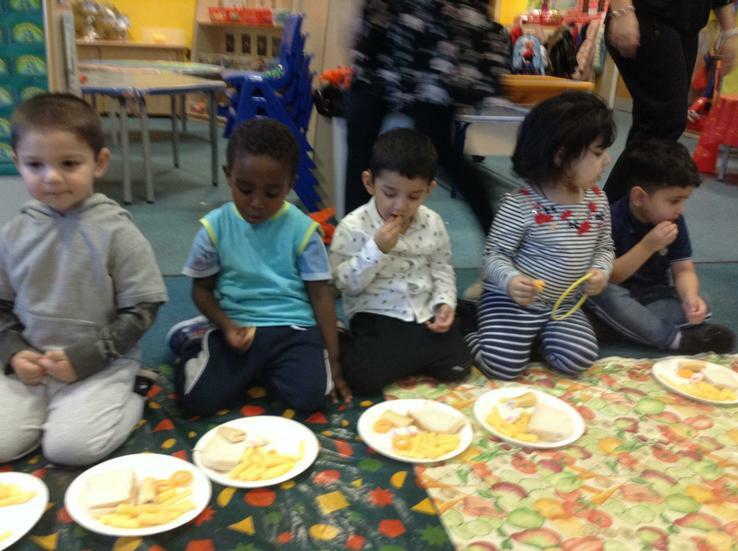 They got to wear their favourite party clothes, play lots of party games including 'pass the parcel' and 'musical bumps' and they got to enjoy yummy party food!